What Is Net Neutrality & Why Should I Care? Let’s imagine something. Let’s say that you’re a town planner, working for the city where you live. Your city has an issue with congestion. Large, 18-wheeler trucks drive in, and they get stuck. Lanes get blocked up, and eventually, all motor vehicles are moving at a pace as slow as cold molasses. Being the smart individual you are, you decide to route all of the large trucks through slower, less convenient routes. However, you decide that should they wish to use the fast paths, they can do so provided that they pay up. What if we applied this analogy to the Internet? Let’s imagine that instead of being a town planner, you are running an ISP. You notice that Netflix and YouTube account for a huge percentage of the traffic coursing through your network. So, you decide to slow down these massive bandwidth hogs, unless they fork out for the increased costs of transmitting their data. This, in a nutshell, is the antithesis of what Net Neutrality is. The idea that all traffic should be treated the same, regardless of the content, origin or destination. A significant number of people see Net Neutrality as something essential to the long-term survival of the Internet as a free, unencumbered tool for empowerment and the free exchange of information. Prioritizing traffic is a direct threat to that. In this article, we’re going to look at why Net Neutrality matters, and why we should fight to protect it. Who Would Be Against Net Neutrality? A common criticism of those who advocate for Net Neutrality is that they’re asking for something that simply isn’t reasonable, fair or attainable. Let’s be clear. Asking for Net Neutrality isn’t asking for free-of-charge access to the Internet. Nor is it asking for higher, better quality of access for less money. In actuality, it is asking that all Internet traffic be treated equally. This would likely manifest itself in the form of legislation which would prevent telecommunications companies from splitting the Internet into a fast lane, and a slow lane. It sounds innocuous. So, why would people be against it? Of course, there are some legitimate arguments against Net Neutrality. There are some genuine concerns about letting the government legislate the Internet. Some worry about a potential slippery slope, where governments become empowered to enact laws which effect more and more of the Internet, thus destroying the laissez-faire spirit of the Internet. As a result, there is a rash of Libertarian think tanks and pressure groups, such as the Cato Interest and the Ayn Rand Institute who have came out against Net Neutrality, with the latter describing it as the “Destroyer Of Internet Freedom” and having produced videos on the subject. This is relatively understandable. When governments legislate the Internet, they get it horribly wrong. Just look to South Korea, where the government mandated that banking and e-commerce websites authenticate users with an ActiveX plugin, which is a horribly antiquated (and insecure) genus of browser plugins available exclusively with Internet Explorer. . This effectively ensured that all South Koreans are forced to use Internet Explorer. To this day, OS X and Linux hasn’t seen the same degree of adoption in Korea as it has in Europe, China and the United States. It also means that 75% of South Korean netizens use some variety of IE because… Well? They have to. It also means that many South Korean websites are fundamentally less advanced, less user friendly and much less secure than their Western counterparts. The cruel irony is that this government intervention effectively hamstrung an entire industry. It should go without saying that some of the ISPs who are most vocal against Net Neutrality are the ones with vested interests in cable television. There are some concerns that aren’t really in the interest of the consumer. Millions have already cancelled expensive cable TV packages in favor of Netflix, Amazon Prime Video and BitTorrent, which are significantly cheaper and more convenient than their traditional counterparts. It should go without saying that these newer services depend on their users having access to fast, affordable broadband. As a result, these ISPs are eager to protect their vested interests in the broadcast television. They don’t like the fact that their monopoly on television and movies has been challenged. They’re scared. As a result, it’s hardly a surprise that the likes of Comcast — who offer cable TV packages – aren’t keen on the idea of Net Neutrality. And it was hardly shocking when Netflix announced in February that they had “partnered” with Comcast to deliver their content to American consumers. It goes without saying that money changed hands here. There was a genuine business case for Netflix paying Comcast for better streaming speeds. Although, many fear they irreparably damaged the case for Net Neutrality, by showing that content providers can be persuaded to pay for better access. Indeed, USA Today announced the news of the deal by describing it as the “final nail in Net Neutrality’s coffin“. Let’s take the fears of the Electronic Frontier Foundation and the Open Rights Group to their logical extreme. 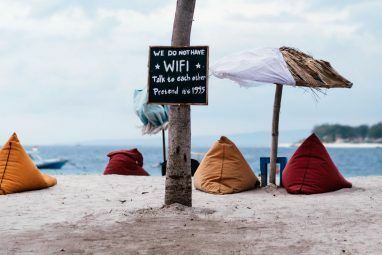 Let’s imagine if the Internet stopped being an equal-access conduit for packets and bytes, but a medium where consumers have to ‘buy in’ to access certain services. It’s not as unrealistic as you might think. Those of us old enough to remember the first Internet equipped cell phones might also remember paying extra to access certain services, such as news websites, celebrity gossip and email. Thankfully, the Internet doesn’t really work like that. People tend to pay monthly (or per-gigabyte) fees, and in return gain access to the Internet in its entirety. But what if the Internet was like the WAP phones of the late 90s? Whilst we’ve moved on from then, it’s still not out of the realm of possibility. One Redditor imagined just that. In a mock advertisement that has since been spread across the Huffington Post, Buzzfeed and Gizmodo, Redditor Quink imagines a world where one has to pay extra to access online video, news and social websites. Not unlike how one pays extra to get a sports package, or HBO with Comcast or Time Warner. Chilling, isn’t it? Whilst this isn’t a realistic threat to the Internet, it shows what could potentially happen if the Internet ceased to be an unrestricted medium. There are people who don’t like a free, impartial Internet. They will seek to fundamentally reshape its architecture in order to best serve their interests. They are winning, but the battle isn’t yet over. Already, in Europe, Israel and Chile, legislation has been introduced which makes Net Neutrality a reality. But there’s still much to be done. If you’re concerned about Net Neutrality, perhaps you might want to join the Open Rights Group or the Electronic Frontier Foundation, who fight for the preservation and protection of the Internet. Finally, if your ISP starts shaping traffic, consider voting with your feet and your wallet, and moving to an ISP which respects the integrity of the Internet. In the UK, one such ISP is called Andrew and Arnold, and whilst their services are a tad expensive, they have a stated commitment to Internet freedom and net neutrality. Likewise, if you’re fortunate to live in a part of the US with Google Fiber, consider moving to them. 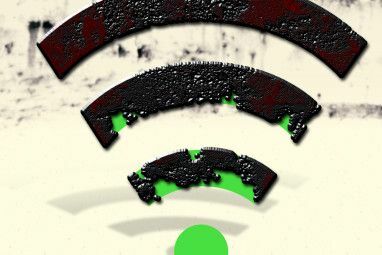 You might also want to read an earlier debate MakeUseOf had about the future of Net Neutrality Is Internet Freedom Under Threat From Internet Service Providers? [MUO Debates] Is Internet Freedom Under Threat From Internet Service Providers? [MUO Debates] Imagine a world where the content you are allowed to view on the Internet is tightly controlled by your Internet service provider. On MUO Debates, we explore and question this reality. Read More . I’d love to hear your thoughts on this subject. As always, if you’ve got something to say, leave it in a comment below. Explore more about: Bandwidth, ISP, Net Neutrality. 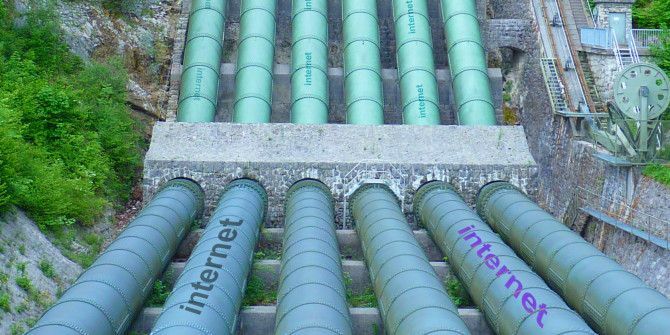 Internet should be a utility just like electric and water. Who gives a flip how you use it just provide a service and let the consumer decide how they’re going to use it stop letting the corporations dictate who is going to be the number one King for cash. Unlimited (fair use) or a certain quota. You expect to get that, subject to "internet weather conditions", and while running an express lane to guarantee performance of locally delivered services (lets say, for instance, VOD services) is kind of acceptable, NOT if it is at the expense of acceptable performance elsewhere. There is far too much of a race to headline speeds, without any focus on the performance under normal load conditions. A 100 Megabit service without neutrality, limited to 10 Megabit on unfavoured content, should really be called a 10 Megabit service with a limited boost. Everyone who pays their ISP for broadband has already paid the cost of that broadband - the ISPs are now looking to extort more $$ by additionally charging companies with website content that customers want to access more money to allow those customers (who have already paid the ISP extra $$ for higher tiers of broadband access) to connect to their desired content - and because there is no broadband competition, customers and content providers are hostage to this extortion - which only government can protect against. The definition you give for "net neutrality" is that "all traffic should be treated the same, regardless of the content, origin or destination." That sounds like a noble concern for freedom of information, but the conversation here seems focused primarily on data transfer speeds, which are specifically important to live-streaming entertainment applications - gaming, Netflix, YouTube, etc. That is a purely commercial aspect. Certainly, Netflix, YouTube and others could involve news, educational and documentary material, but in those applications live-streaming is the only option available because of copyright concerns regarding typical content. Material that is "intellectual property" is by definition excluded from consideration in any discussion of the free movement of information. Governments need not get involved in regulating speeds. Market forces should settle that. The only legitimate government involvement would probably be to prevent monopoly, or perhaps to subsidize access in costly-to-service areas. It is more important to maintain net neutrality as defined, which would be essentially an international, governmental issue. Transfer speeds are relatively unimportant if the information being transferred is in files that will not be accessed in ‘real time’ until the entire file arrives at its destination. What is important is that the information itself is not censored in any way. Unrestricted transfer of information (regardless of speed) is what the Internet is about. From Wikipedia: "Bob Kahn, co-inventor of the Internet Protocol, has called the term net neutrality a "slogan" and states that he opposes establishing it, but he admits that he is against the fragmentation of the net whenever this becomes excluding to other participants. 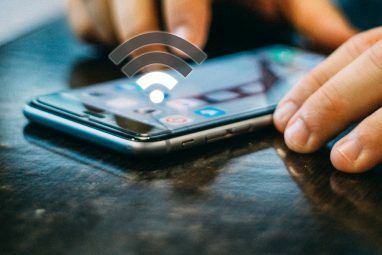 Opponents of net neutrality regulation also argue that the best solution to discrimination by broadband providers is to encourage greater competition among such providers, which is currently limited in many areas." If it is not neutral it is cable TV. Network charges content creators and consumers. A large thing that people seem to be missing here is the comparison used. Roads really are a poor comparison because the government is responsible for the roads, not for the Internet. Private companies offer ISP services and it should be up to them how much to charge to who right? Let's try to take this logic to another example. You go to a restaurant and overhear someone ordering a meal and their total comes out to $4. It looks like they got a good deal so you try to order the same thing and they charge you $10. You ask why and they say it's because you are bigger than the other person, or because you are a different race or age or religion, or perhaps, because you are obviously richer. Whatever their reason is, you would be furious. And governments most everywhere have already made laws against this. My money is just as good as yours. The government didn't make these laws because it makes them money, they made them out of basic morality. What kind of society would we live in if two people couldn't go to a store and pay the same price for the same thing? So what are the ISP's reasons for making Netflix, Amazon, etc. pay differently? Because they are bigger. Because they own a rivaling service. This is no different than charging the CEO of Shell three times as much for gasoline if they were to stop at a Chevron. The government owns the roads and is responsible for managing them efficiently but the Internet is not owned by anyone and it never should be. Oh, and @Howard Pearce. This is not an issue of freedom of speech. If I am running a business and I am obligated to charge the same price to everyone for the same goods, how is this a violation of my rights to express myself? I am perfectly within my rights to say things that are racist, sexist, homophobic, or whatever other horrible things come to my mind, but I would be pretty screwed when I got taken to court for treating them differently in business. First, if it is your view that others have to treat you the same or else you will send a police force to their door to make them , then I couldn't disagree more. People have the right to treat others the way they chose ... you may not like it and I may not like it .. but that is their right! Only the state has an obligation to treat people equally. If the government told you that your were not providing neutral content to others in your communication to them, then you would seem to agree the state can mandate your communications to provide that neutrality. Perhaps you can see this example as more clearly a violation of freedom of speech/press/media. Freedom of Speech and Press were created long before all the media we have today. But that right covers ALL media. This still makes no sense as freedom of speech or press. They aren't being censored in any way. The company is perfectly free to say that they think Netflix is terrible but I still believe that they should charge the same price for the same service. How is making them charge prices evenly violating freedom of speech? They are still allowed to say or publish whatever they like. Internet should be free like Linux. There are many in rural area's that do not have the option of switching ISP's. Net neutrality wouldn't help you get faster speeds, no. However, it would mean that your ISP who might have a stake in cable TV doesn't throttle Netflix traffic in order to protect their vested interests. Interesting. Thanks for your comment! You either give control to the state or to private entities; it's a lose-lose proposition for the consumer/user. Considering that there is no over the air TV any more and that many municipalities have signed exclusive, anti-competitive contracts with cable providers, the loss of Net Neutrality will mean that we will be forced to watch only the content the provider deems as desirable. Just imagine being limited to only religious or political content 24/7/365. That kind of control will make China's or Iran's control over content seem like wild west. Well since the state is coercive monopoly with no other alternatives available, I think I will leave the control in private hands where there can be actual competition and choices !. Do you actually believe that old chestnut about competition in the cable industry? Competition is supposed to lead to better service, better programming and lower prices. From what hear and read, that is not true in most of areas in the US. Most cable companies march in lock step, a monopoly in everything but the name. Cable industry is as competitive as the airline industry. Within minutes of one airline raising its prices, all other airlines match those prices. What I believe is that a monopoly institution like the state is free to do pretty much what it wants regardless of the propaganda and old chestnut that it is merely doing work for the public. Any system that offers competition at least offers alternatives. How much competition shows up in actual details or whether it is as much as you want may still disappoint you but the airline industry is highly regulated by the state .... at least in the U.S.
C - Whatever The Download Speed, The Upload Speed Should Be Exactly Equal. E - All Hardware Should Be Sold Or Rented. How To Introduce Different Payments ? Customers Should Contract The Download Speed They Can Afford To - From Slow DialUp To Whatever Speed GOOGLE Offers In KANSAS CITY. Your Monthly Payments Went Out Of Control ? The Quality Of Service Went Significantly Down ? Simple, Switch To A Lower Speed Or Move To Another ISP. Does this view apply to all things in life or just providing internet service ? All I see are things that in your opinion are good ideas. Unfortunately the rights of people don't depend on your opinion of that ...... other than that they exist to begin with, of course. I Hate When Big Government Dictates My Life, But I Hate When Private Corporations Dictate My Life, Even More. I Feel Trapped Either Way - And Something Has Got To Change. Hope It Clarifies My Thoughts On This Matter. The actual fact is that you can choose not to deal with companies you dislike and go to others for possible service. The state has monopoly control on the service of government and giving authority to an entity with such control where there are no alternatives would surely be a dangerous thing to do. The Contract Terms Changed After I Signed A Second Contract With The Same Company, And I Have To Wait 24 Months Before Going Somewhere Else. I Hate Big Government Monopolies, But I Hate Private Monopolies Even More. While the internet in the cloud may be free, many ISP's are private companies where you have to purchase the service to access the data in the cloud thru cable, etc. Net Neutrality itself give the power to dictate to these ISP's what and how to communicate in the name of neutrality. I wonder in Mathew Hughes would like the state dictating to him what and how to communicate in the name of whatever . Perhaps he doesn't believe in freedom of speech/press for private companies !. > Perhaps he doesn’t believe in freedom of speech/press for private companies !. I'm a freelance technology journalist working for a privately owned publication. Saying I'm against freedom of the press for private companies is sort of like accusing Elvis Presley of being against the cheeseburger. Although, I'm curious. What makes you think that government enforced net neutrality is a freedom of speech issue? Surely the opposite is true, right? Because ISPs would be forced to treat all content impartially, and just act as a conduit for packets, as it should do. It doesn't allow ISPs to prioritize content. lol, did you hear yourself ? Because ISP's will be FORCED to treat content equally that it is actually a support of freedom of speech ? The problem with your view and some others is that they don't consider the ISP as a party to the exchange that is going on ..... just the end users. I'd say so. You're not marginalizing another view. You're not preventing anyone from accessing a public arena to air their views. You're just demanding that the ISP treats all content the same. So, I still don't get it. How does mandating net neutrality threaten the freedom of the press? Anytime you ask the state to take over or control the media regardless of your goals, you are violating freedom of speech/press/ media. If good goals were the only excuse needed to violate others rights, then we would no doubt not have any anymore. There is nothing in the constitution or in our rights that demands we have to present information in what the state or you claim is neutral format. Your judgment also seems to very trusting of the fact that the state once it has control will actually do as you want and how you want. The state is a monopoly institution where there are no other alternatives once you relinquish control to it. Okay. Let me rephrase my question. What speech would specifically be marginalized if network neutrality was a mandated part of the Internet? And who, specifically, would see their freedom of speech curtailed? Please don't think I'm being confrontational or antagonistic, by the way. I'm really interested in your point of view, and I'd just like to understand it a bit more. Obviously the ISP's and the owners/employees would see their speech suppressed as they would now have to follow the mandates of the state! As I said before, you and others seem to have this view as ISP's as nothing more than telephone lines and not real people. Or you fail to see that freedom of the media protects far more than mere speech/press. It protects sign language too ..... and yes , telecommunications. Your only concern here seems to be the end user and everyone else is a mere utensil. Perhaps this is your general view of business .... as nothing more than instruments here to serve the goals and purposes of the end user. Imagine a Newspaper Neutrality act where all newspapers would have to provide so-called neutral content by mandate of the state .... Would you not see that as violation of freedom of the press ? If you are familiar with the Fairess Doctrine in the U.S. that was over-turned by the supreme court ..... it supposedly demanded that all TV networks provide equal time to political opponents ... the court was wise to see that control by the state of news content as a violation of the constitution. >Your only concern here seems to be the end user and everyone else is a mere utensil. Perhaps this is your general view of business …. as nothing more than instruments here to serve the goals and purposes of the end user. Isn't that the general rasison d'être of an ISP? A platform to serve the purposes and whims of the end user? In this case, moving a packet of bytes from one location to another in the most expedient way possible? Companies are run by real people ...... just like you are a real person in the company you work for (or yourself if that is the case) .... and the minute you let other people treat you or your company (or yourself if self-employed) as just an asset to be used for the purposes of others, then you can kiss your rights goodbye ! The better way to look at it is that your view of what a business or person is there for is nothing more than your view . Like all businesses, they obviously didn't go into business to serve you. They provide services they hope people will buy because it is to their benefit ---- and to the benefit of the business too. Unfortunately many people (particularly so-called progressive liberals ..... I use the word liberal broadly) start to treat these services as their right. In the U.S. southern plantation owners once viewed the service of having their cotton picked as a right too. All services are provided by people, and when others claim a right to these services, they are claiming a right to the actions of the people providing them. Net neutrality is absolutely imperative for the free exchange of ideas and information, as well as all the commerce that comes with it . I believe however, that the corruption of big money that finds it's way into every other aspect of life (banking, finance, real estate, governments, etc) will ultimately make net neutrality a thing of the past. Unless a major push to bring competition between many broadband ISPs happens, the big boys will call the shots. The concept of free(dom of) exchange implies it is voluntary .... and not to just those people using ISP's ...... but for the ISP's themselves ..... any other view of free exchange for some is a joke. Clearly the exchange for the ISP is mandated by the state ! Your analogy between roads and Internet does not work. Many states and municipalities have found advantageous to provide separate lanes for cars and trucks and buses. New Jersey Turnpike is one road that comes to mind. For about third of its length, so far, there separate lanes for cars, and for trucks/buses. Cars can go in the truck lanes but trucks cannot go into the car lanes. Vehicles are charged by distance travelled, not lanes used. Interestingly, the truck lanes usually move faster. IIRC, in California some roads have been privatized and charge a toll to specifically allow faster travel. "Some worry about a potential slippery slope, where governments become empowered to enact laws which effect more and more of the Internet, thus destroying the laissez-faire spirit of the Internet." Governements will do that whether there is Net Neutrality or not. It has very little to do with slippery slopes and everything to do with budgets and income. Pretty soon US Congress will enact a law requiring the taxing of all Internet sales. All levels of government feel that, as Internet sales grow, they are "losing" more and more tax money. If Net Neutrality is profitable for the governments, then it will become the law of the land. If it isn't profitable, then the governments will vote against it. > Your analogy between roads and Internet does not work. I'm not sure I agree. I've lived in England, France and Switzerland, and whilst toll roads do exist in these countries, they're seldom for a specific type of motor vehicle. Furthermore, you can never exceed the national speed limit. So, it's not as if we're giving enhanced privileges to certain vehicles, unless I've misunderstood your point? If so, I do apologize. "you can never exceed the national speed limit. " Why? Does one's car automatically turn into a pumpkin? :-) Excuse the levity but, from my experience, laws about speed limits are the ones most often broken by drivers. The point is that it is desirable to separate passenger cars and trucks to facilitate traffic flow. A more apt analogy for Net Neutrality would be allowing all trucks to use a road versus allowing only trucks from certain trucking companies to use the road. Well, it's something that is very much frowned upon. Slash illegal. Mostly illegal, actually.